As part of the grandeur of my PhD, I’m reading a vast swath of Latin letters, as this post and this other post on Cicero’s letters attest, not to mention this brief discussion of a passage from Pliny’s letters. My adventures have taken me as late as St Boniface (d. 754), as far from Rome as Severus of Antioch (who wrote in Greek, not Latin, and is only preserved in Syriac, mind you), and as Carthaginian as St Cyprian. Today, I polished off Selected Letters by Lucius Annaeus Seneca, selected and translated with introduction and notes by the intrepid Elaine Fantham. My fondness for Professor Fantham stretches back five years when she, in discussing U of T’s Classics department’s new locale, told my MA Latin Poetry class that one could observe the stained glass of bare-breasted women ‘with an Edwardian sensibility.’ Also, one day while discussing Ovid’s Metamorphoses, she sagely said, ‘There is nothing better than reading the ancient texts themselves.’ This was my first encounter with her scholarship outside the classroom, and I am impressed. Fantham’s selection is lucidly and intelligibly translated in a modern yet philosophical idiom. 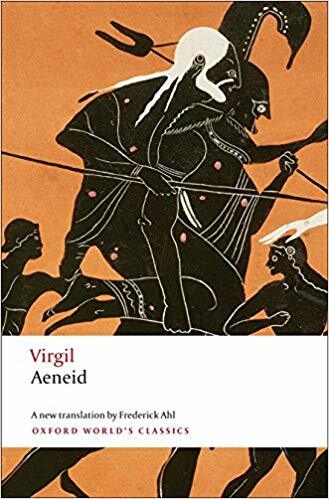 This, combined with the fact that here we have the largest selection of Seneca’s letters yet translated into English, is reason alone to purchase this particular volume. Nevertheless, Prof. Fantham gives the reader a brief introduction to each letter, usually a couple of sentences or a small paragraph that outlines the contents, making the structure clear and thus the text easier to follow. When helpful, these introductions to individual letters give references to secondary literature for those interested in pursuing a matter further, whether a question of philosophy or philology. Mind you, I was already very pleased with the scholarship by reading the main introduction to the volume. Some scholarly introductions are boring. Others, while helpful and interesting, can be excessively long, such as Dorothy L Sayers’ 67-page introduction to Dante’s Inferno. And sometimes introductions to popular-level translations are not scholarly at all and leave the reader wanting more. Fantham’s is a good length, covers all the necessary bases of history, philosophy, and philology, and is readable. If you are looking for a brief introduction to Seneca and his world, look no further. Elaine Fantham proves herself well-versed in early imperial Roman history, the Latin literature of that period, and the ins and outs of Stoic philosophy and its milieu. If you were planning on reading Seneca’s letters anyway, this is the translation I would recommend. But why read Seneca’s letters? I have to admit that sometimes L Annaeus Seneca talks about death too much. There is really only so much on the subject of the Stoic despisal (is that a word?) of death that a person can stand to read. Nonetheless, this repetition of the theme is part of the collection as a whole. The letters to Lucilius have chosen moral philosophy and personal growth in virtue as their theme. I, personally, believe they represent one end of a real correspondence; yet even if they represent a fictive correspondence in which Lucilius was never a real participant, the form and genre of the letter collection is present. What this means is that the reader takes the place of Lucilius in receiving Seneca’s epistles, epistles that were (alleged to have been) sent over a period of years, as Lucilius grew in his strength of virtue and knowledge of the Stoic way of life. It is, at a certain level, a programme of training in moral philosophy. And repetition is a key element in the instilling of ideas in the mind, for it helps forge pathways in the brain. This is the background behind the Greek philosophical concept of the maxim, wherein one simply repeats a short, memorable phrase often and in certain situations and that transforms one’s thinking in the direction one wishes. So Seneca talks about death a lot. This is because the noble death is an important aspect of Stoicism — this is a philosophy that approves of suicide when necessary. Yet it is selfless enough that Stoics will put off their own deaths when they see that dying would put undue strain upon their loved ones. However, when the time comes, Seneca is willing to die at the command of Nero. But death is not the only Stoic subject at hand. Seneca discusses the liberal arts and literary style, he discusses contentment and luxury and food and sport and exercise and fear and endurance and duty and leisure (otium) and friendship and so forth. Part of what the epistolary form allows Seneca to do is provide shorter discourses on these subjects that a larger treatise does not — although Seneca’s moral essays tend also to be short. What the letter also allows Seneca to do is shift between subjects at will. Any thought or occasion is opportunity to go off on a philosophical tangent. The tight structure of the essay or logical framing of the dialogue does not as easily allow for this, although Plato’s Symposium makes the different interlocutors opportunities for different subjects — but even they stay on theme to an extent. Seneca can discuss morality and style in the same breath. Finally, the epistolary genre allows Seneca to begin conversationally and easily weave into the discourse incidental matters and anecdotes. ‘Just the other day I was visiting my old villa …’ and then he goes on to give a philosophical discussion of old age. PS: This post here is also about Seneca’s letters. This entry was posted in Ancient World, Books, Classics, Literature, Philosophy and tagged elaine fantham, epistolography, latin, latin epistolography, letters, seneca on July 12, 2013 by MJH. Having trouble gettings files of my wife on the blog; here’s Seneca instead. Not nearly as much of a looker. My greatest of the temporal consolations (let’s leave the Divine out of the equation for now) is not a lovely garden or a good book or a warm cup of tea or a Slurpee or playing ‘guess the Emperor’. The greatest consolation I have in this life, that I can touch, hold, and see, is my lovely wife. I left her in a train station in Stuttgart this morning. She is safely in Edinburgh now. We had a fantastic ten days together — reading together, walking around Tübingen together, visiting Heidelberg together, then seeing my cousin in Mosbach together, eating together, eating ice cream together, eating cake together, eating Schnitzel together, being together. After almost two months part, it was really wonderful to be together. And I’m happier now than I was ten or so days ago, because the effect she has on me is more long-lasting than simply when she’s just around. Yet I am, nevertheless, back in my undergrad accommodation in Tübingen. Things are eerily quiet right now; I should probably get to bed in a bit to exploit the fact! Anyway, you know the situation from earlier posts, and especially if we’re friends on Facebook. Not my favourite. After leaving the lovely Jennifer at the train, I visited the Landesmuseum Württemberg in Stuttgart and read some Seneca. And here’s where the title gets relevant. Letter 28 (Book III.7) of Seneca’s correspondence to Lucilius is about the fact that Lucilius will never shake off his sadness and depression and learn contentment by changing his location. The problem, says Seneca, is not where you are but, in essence, who you are. The seeds and material for contentment are available to everyone everywhere. Certainly, quiet, rest, and leisure, retirement from the world, come highly recommended by this Stoic. But the truly wise man can be content anywhere, for that is a matter of inner circumstances. I can find contentment in less-than-suitable accommodation. I can find rest for my soul even here. Even with all-night parties. Even with people smoking in my kitchen. Even with my greatest consolation off in Edinburgh. This entry was posted in Ancient World, Books, Classics, Literature, My Travels, Philosophy and tagged consolation, contentment, elaine fantham, marriage, seneca, stoicism, stuttgart, tuebingen on June 13, 2013 by MJH.